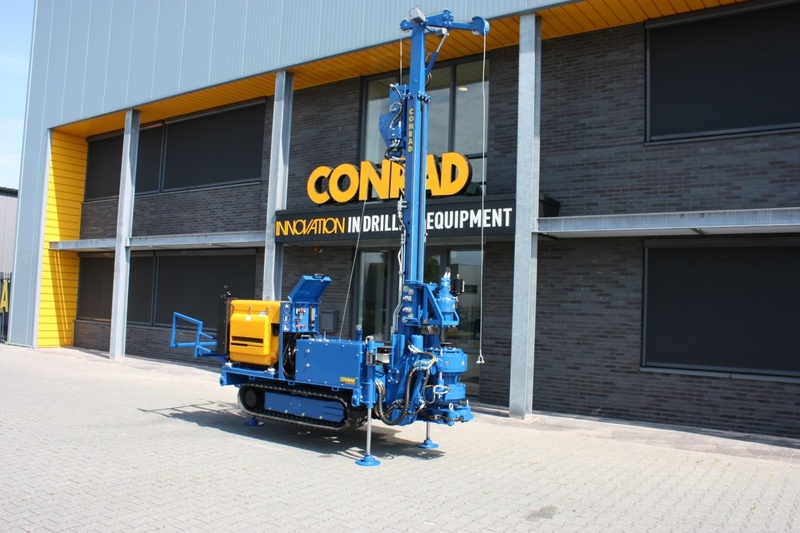 5 July 2018 | Soil drilling company Bouten Geotron has chosen the Conrad KD 43. 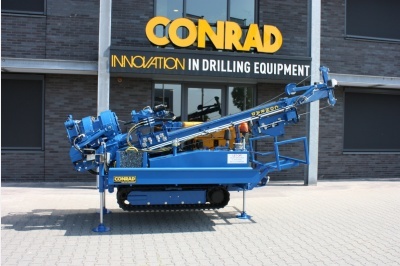 This soil drilling installation is ideal for work on difficult terrain and in confined spaces. 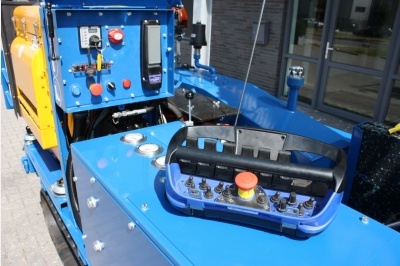 The machine is used in the environmental sector and for geological research. The Conrad KD 43 is a small, fully diesel-hydraulically driven vertical drilling machine, mounted on a crawler chassis. 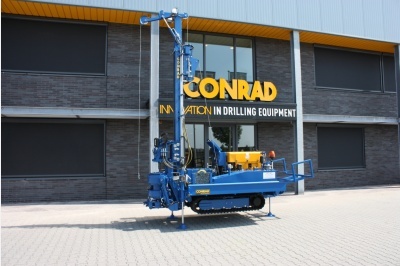 Due to its size and simple control, the KD 43 is very suitable for use under difficult terrain conditions. It is also easy to maneuver in spaces with limited dimensions. This small installation is suitable for auger drilling, and pulse drilling. 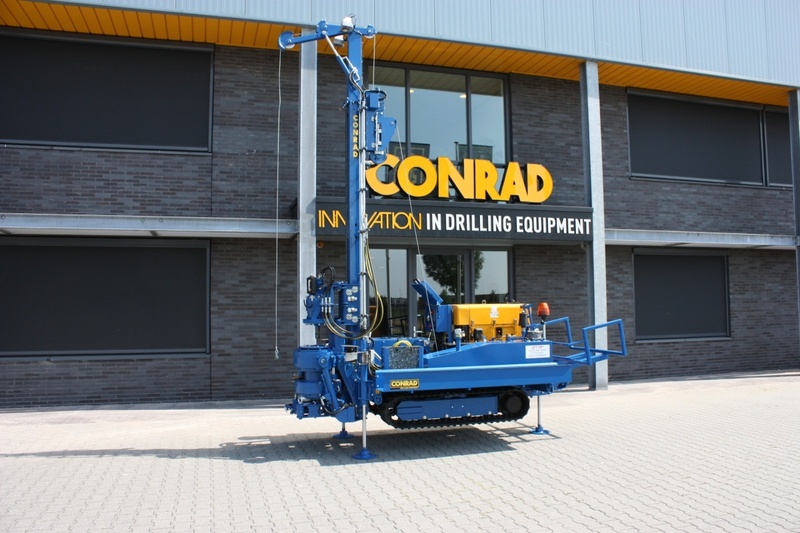 Because of this versatility, the machine is used in both the environmental sector and geological research, as well as for the drilling of fire pits and sprinkling. This KD 43 is equipped with a brand new CRT 219 rotating table and a laser safety screen. Bouten Geotron is an independent earth-drilling company in the environmental and geotechnical sector and is now operating in the European market. The employees have their background in the environmental, geotechnical and agricultural sector. Bouten Geotron cooperates with, among others, the government (at regional, national and international level), engineering firms (national and international), contracting companies, oil companies, research institutes and dredging companies.